In late 2011, The Incredible Dr. Pol television series debuted on Nat Geo Wild and has become the number one series on the channel, breaking network records in all key demographics. Dr. Jan Pol, with more than 19,000 patients, accumulated over 33 years in rural Michigan, shows no signs of slowing down. 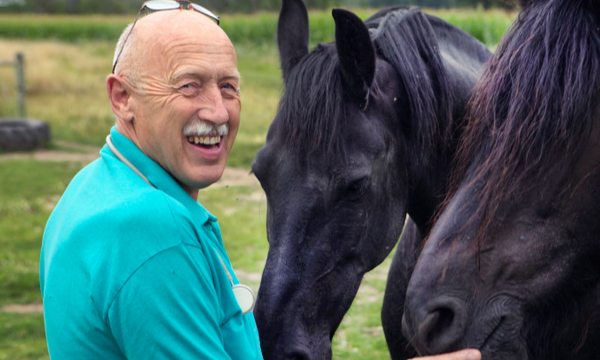 From pregnant cows to goats with pneumonia, to sheep, horses and even small animals, Dr. Pol is committed to serving the good people living in and around the Michigan countryside. With the wild success of his television series, Dr. Pol is now expanding into speaking engagements and is launching an engaging, interactive and educational website (coming soon). Dr. Pol and his team selected National Sponsorship Group for sponsorship brand integration between Dr. Pol’s website, social media platforms (Facebook, Twitter, and Instagram) and events. • Vetericyn® – A family of one-step animal wound and infection care products that are as safe as water, while working to replicate the healing actions of the animal’s own immune system to fight infections. Wounds treated with Vetericyn have a demonstrated 60% quicker healing time.